There are thousands of charity events in Houston every year but it rare to find one that you are passionate about the cause and the amazing food and drinks are only bested by the company of the crowd. Martini Madness benefiting the Houston Center for Contemporary Craft (HCCC) is one of those events. 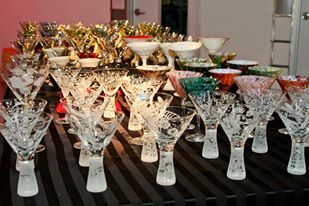 Every January the artistic bunch at the HCCC gather for Martini Madness. The name along speaks volumes for the potential fun that can ensue! Each attendee for the event receives a one of a kind martini glasses and from there the drinks abound. With bottomless martinis flowing it is a great place to start of networking and slip into a mood that transforms strangers into friends by the end of the night. To accompany the free flow of cocktails, HCCC taps local restaurants known for culinary creations that match the mood of the event. This is not your normal passed Hors d’oeuvre. With braised ox tails, petite lobster pot pies and potato nori rolls on the menu last year it boggles the mind to think how it will be topped this year. Best of all this event benefits a great cause. HCCC makes huge strides every year to brig art to the masses. With events that cover everything from exhibits of new artists to monthly crafting events that give instructions on how to do fun activities from making wire bracelets to building wooden toy cars. HCCC is sure to stimulate the right brain of the most pragmatic person. A benefit that rewards the hard work done by this organization is worthy in my book. 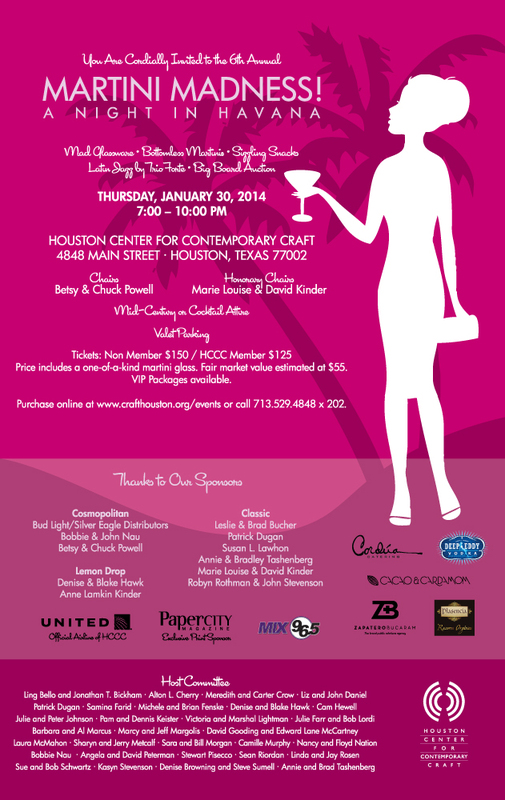 This year the theme is Havana nights and you can be sure to be whisked away in this fun soiree.